Epithet is after Ferdinand Lindheimer (1801-1879), the first permanent-resident plant collector in Texas. Evergreen, 8 to 12 in. (20 to 30 cm). Zones 7 to 9. Apogamous. Cheilanthes lindheimeri with dryland companions at the University of California Botanical Garden at Berkeley. 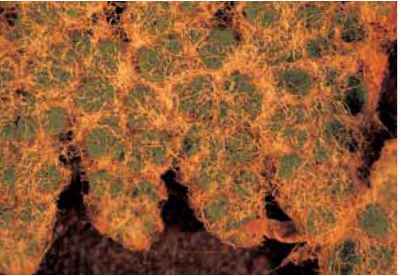 A microscopic view of the furry upper surface of Cheilanthes lindheimeri. Photo by Richie Steffen, Miller Botanical Garden. Cheilanthes newberryi in Southern California's rattlesnake country. pairs of pinnae are on the finely divided oblong-lanceolate blades which are up to four times pinnate. With a thick covering of white curly hairs on the upper surface, the fronds are pale blue in appearance. The lower surface presents a contrasting but equally thick coating of translucent tan slivers. Sori with false indusia are continuous along the margin. range and habitat: This species colonizes along the edges of igneous rocks, sandstone, and granite in Arizona, New Mexico, and Texas in the United States as well as in northern Mexico. culture and comments: I love the common name "fairy swords" for this species with its irresistibly attractive white-haired upright fronds. The good fairy of the desert must have waved a magic wand rewarding horticulture with an exquisite dryland species. It will survive in exposed rocks and rubble in traditional temperate gardens when sheltered from winter wet. My pot-cultured plant, growing in full winter sun but only partial summer exposure under the eaves of the house, has been an ornamental addition to my xeric collection for many years. New growth arrives in late winter in the Pacific Northwest but is not damaged by late surges of winter frost. Epithet is after John Newberry (1822-1892), a U.S. geologist-botanist. description: The rhizome is short-creeping. The dark brown stipe is rounded, with curly hairs. 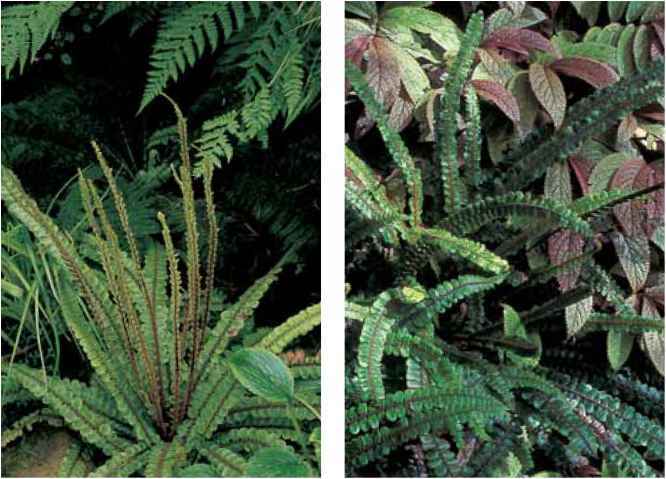 It is one-third to one-half the length of the frond. Ovate-lanceolate blades are bi-pinnate to tripinnate with up to 10 pairs of pinnae. "Cottony" and "woolly" are the appropriate descriptives for this species with its masses of long, curly white hairs on the frond's upper surface and tawny mats of curls on the undersides. Sori are not continuous around margins. 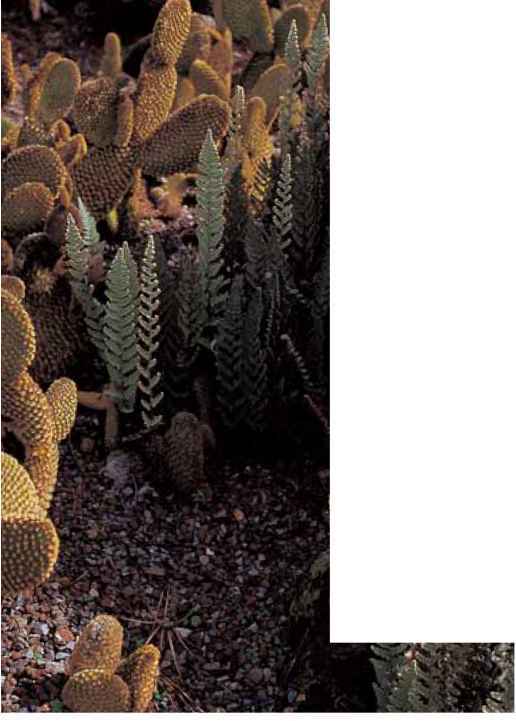 range and habitat: This species grows in sun in and around acidic boulders in Southern California and Mexico (Baja California). I would also like to remind readers that while these ferns love warm rocks, so do snakes. i am sure that the rattler I saw near San Diego just after taking the accompanying photograph was at least 15 ft. (4.5 m) long. 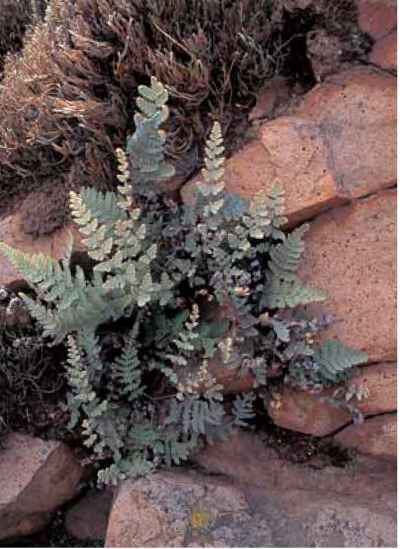 culture and comments: In typical Cheilanthes fashion the cotton fern is challenging to cultivate. The magic word is drainage. Give it chunky soil, good air circulation, bright light, and protection from winter rains.